The venerable political machine that runs the most corrupt big city in America, the very city who gave us the presidency of Barack Obama, is erupting in a political civil war over a case that has riveted the attention of the public. What makes this story a beacon of hope for reform-minded populists is that the fate of the rascals is now in the hands of an incompetent public official who has outraged the public with obvious corruption of justice, and who is now panicking and making huge mistakes because the walls are starting to close in on her. This is shocking. Shocking if you lived on another planet and never heard of Chicago. 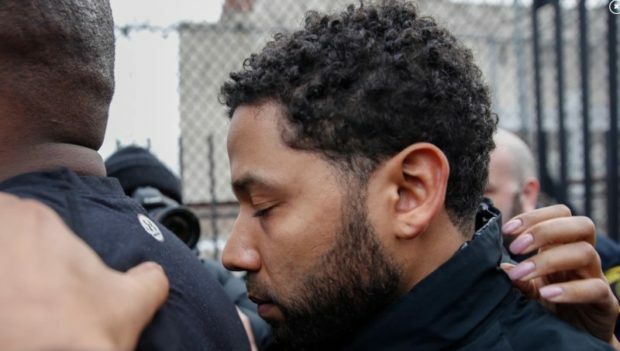 The city on Thursday laid out the cost of the investigation into the alleged hate crime against actor Jussie Smollett and demanded the “Empire” star pay pay the city $130,000. In a letter from the Chicago Corporation Counsel sent to Smollett’s lawyers Thursday afternoon, officials said the total cost of the overtime the Chicago Police logged to investigate the crime was considerably more than the $10,000 Smollett agreed to forfeit after charges against him for allegedly staging the attack on Jan. 29 were dropped Tuesday.